The Star Finch is also known as Red-faced finch, Ruficauda and Rufous-tailed finch. Males are easily distinguished from hens by their larger face mask. The males also have a song that they sing while stretching their neck and fluffing their head feathers. The Star Finch is a species of estrildid finch found in Australia. It inhabits dry grasslands and dry savannah habitats. 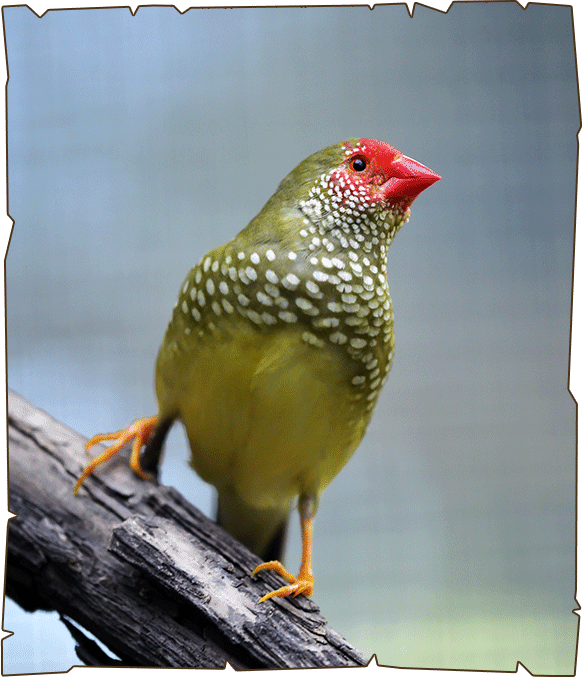 The Star Finch is a common aviary bird. This species has mutations such as the yellow and cinnamon varitites. They are extremely popular, hardy and colourful.